Cilantro is an annual member of the carrot family that has been grown for thousands of years. It is popular in South American, Mexican, Asian, and Mediterranean dishes. 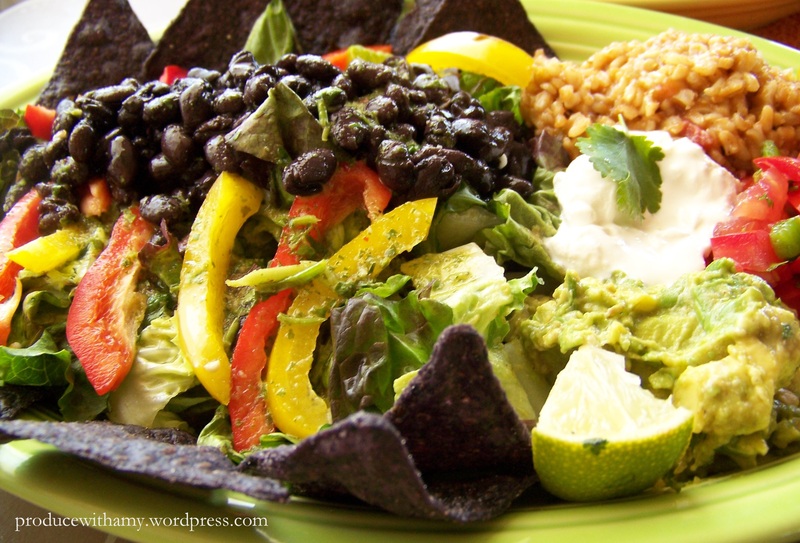 The leaves are used as seasonings in salsas, guacamole, grain salads. The seed is called coriander. 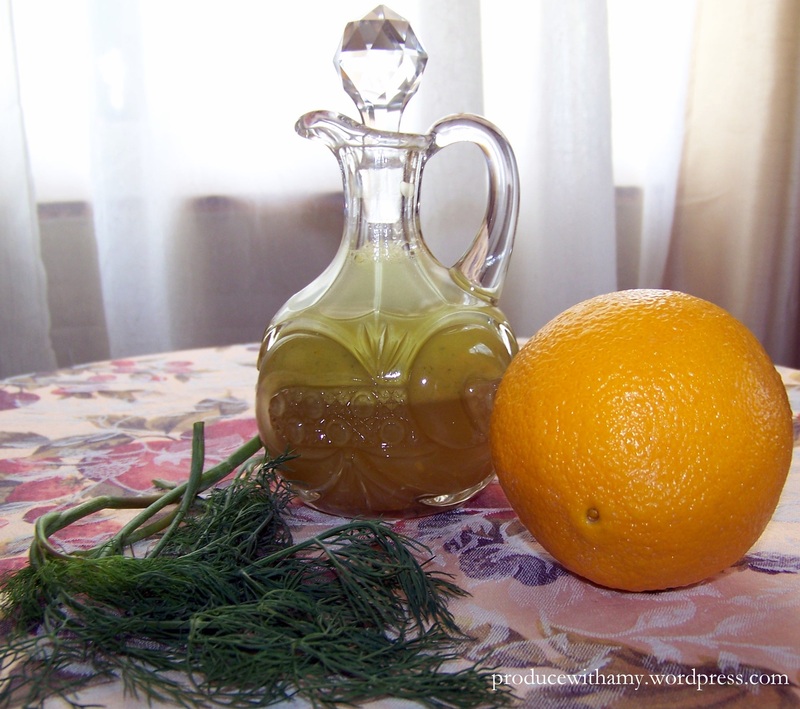 Unripened, it has a citrusy flavor and can be used like fennel as a breath freshener, or as a flavoring for fish dishes. The ripened coriander is milder and is used in pickles, curries, bakery, sorbet, etc. The root is also added to curries, and the stems to bean dishes. The oil from the seed is used in perfumes, toothpastes, liquors and massage oils. Cilantro tends to be a herb that people either love or hate. 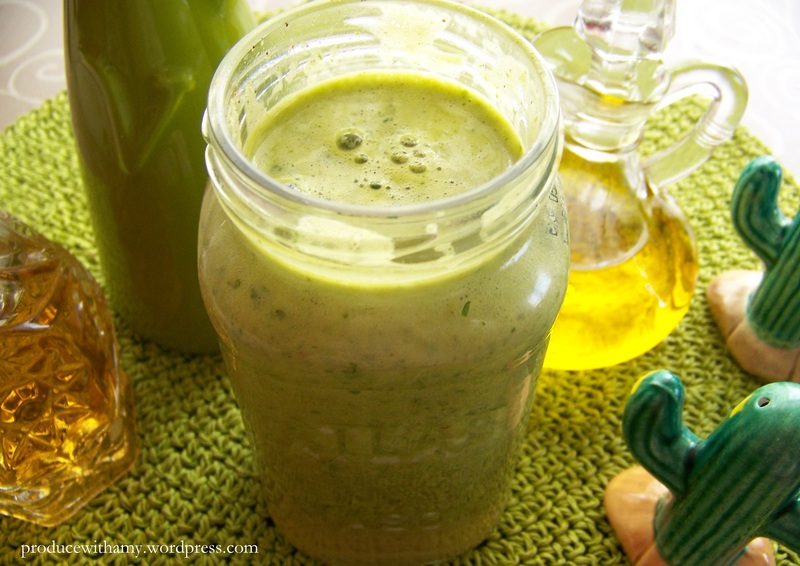 Personally, I love the bright green flavor that cilantro brings to meals and I add it to salsa, salads, guacamole, garnish soups, and I even enjoy it blended into my green smoothies. One of my goals this summer was to come up with recipes for salad dressings. 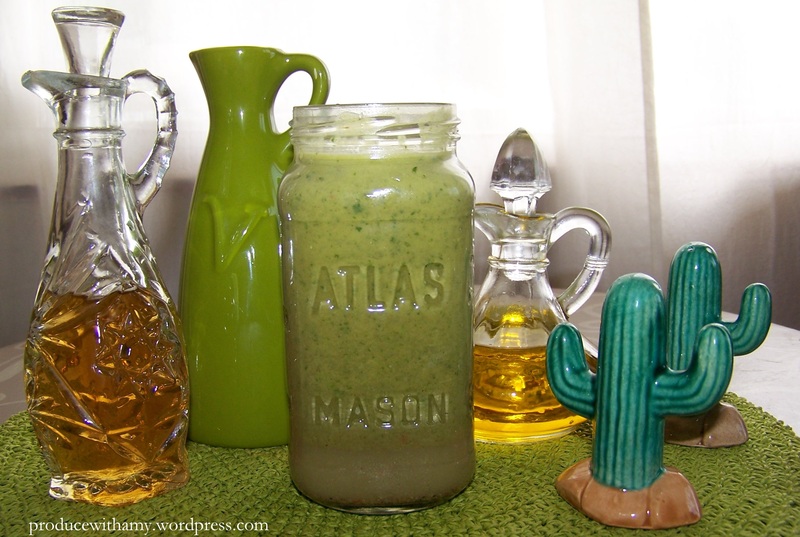 Homemade vinaigrette is simple to throw together, composed of common staples, and is free of additives and preservatives. Also, in the summer I have easy access to fresh herbs outside in my container garden. My Orange Dill Vinaigrette Dressing was a hit so I thought that I would experiment with cilantro. When it comes to salad dressing I tend to really like it to be tangy. On the rare occasion when I purchase bottled dressing I cut half of the bottle with lemon and vinegar. Therefore, if you do not prefer your dressing on the tart side, you may want to make some adjustments to my recipe. I used raw apple cider vinegar in the Cilantro Lime Vinaigrette that I made today. 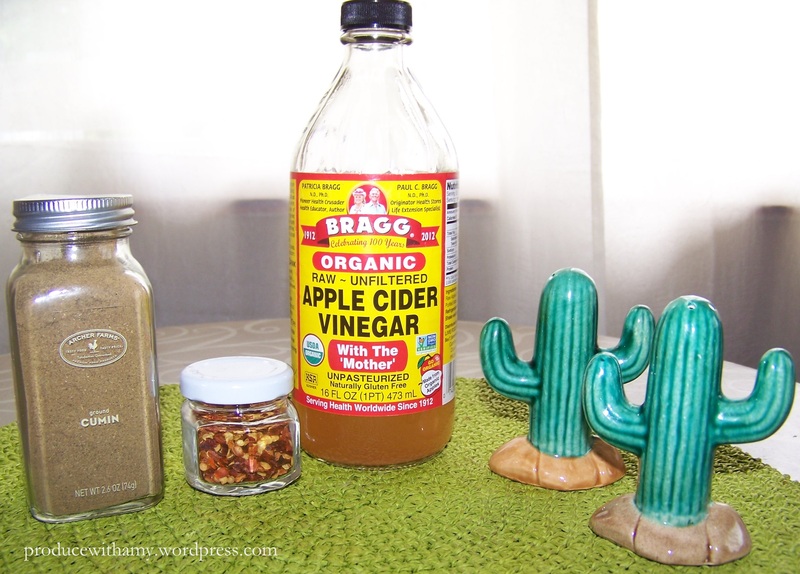 I find that raw apple cider vinegar does have quite a sharp taste to it so if you want a dressing with less tang you could use a milder vinegar. Rice vinegar tends to be less acidic and balsamic vinegar is much sweeter (if you use an aged balsamic vinegar you might want to use some water to thin it a bit. White balsamic vinegar is also a great choice). I keep the oil to a minimum in my vinaigrette to keep it waist line friendly and you could add extra oil to make the vinegar less pungent. 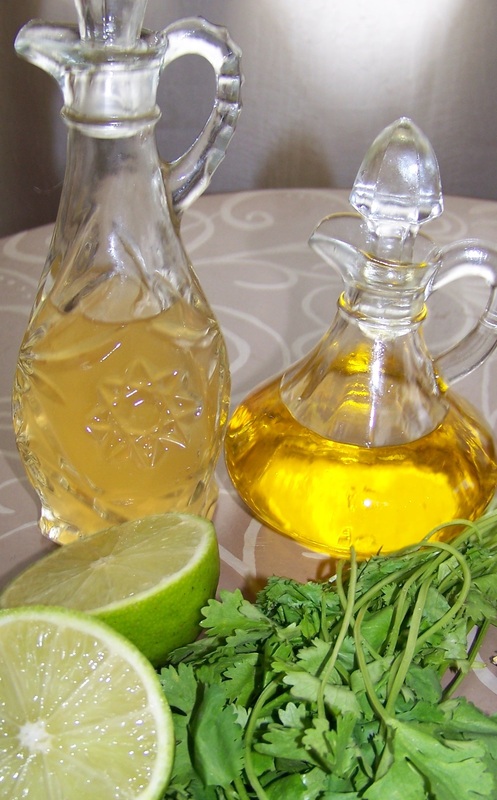 The addition of sugar or Stevia would also balance out the tangy vinegar. Taste as you blend the dressing (I like to use pieces of celery to dip in the blender) and tweak and satisfy your taste buds. 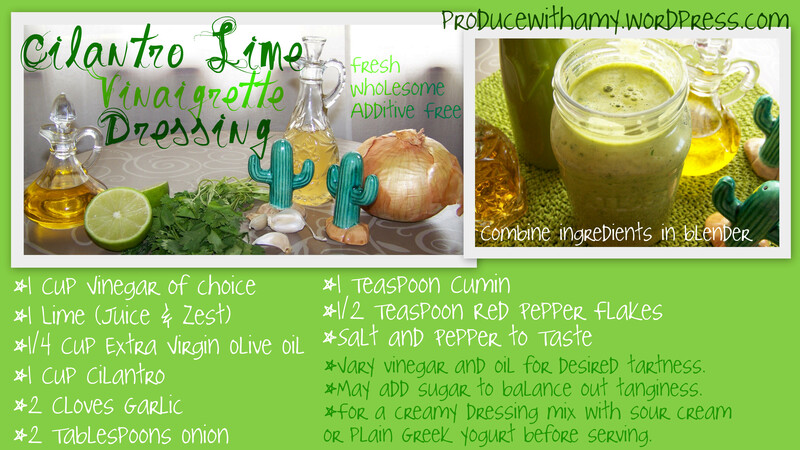 If you want a creamy dressing you can take a serving of the Cilantro Lime Dressing and mix it with a Tablespoon or two of sour cream or plain Greek yogurt. I tried this method with Vegan sour cream, added a dash of hot sauce, and served it over cold black beans and tomatoes for dinner and thought it provided a fantastic taste explosion. Olive oil, lime, cilantro, garlic, vinegar, salt, pepper, and onion. Blend ingredients well and pour into a shakeable cruet or jar in the refrigerator. Your vinaigrette should keep for several weeks (if it lasts that long). This afternoon for lunch I had the Cilantro Lime Vinaigrette on a taco salad that had black beans, homemade salsa and guacamole, and spicy brown rice. It was very satisfying and the salad was so huge I could not finish it all so I wrapped a portion and put it in the refrigerator. Tonight when I ate the salad I found that the flavors had mingled well and I cannot wait to have the dressing again tomorrow. 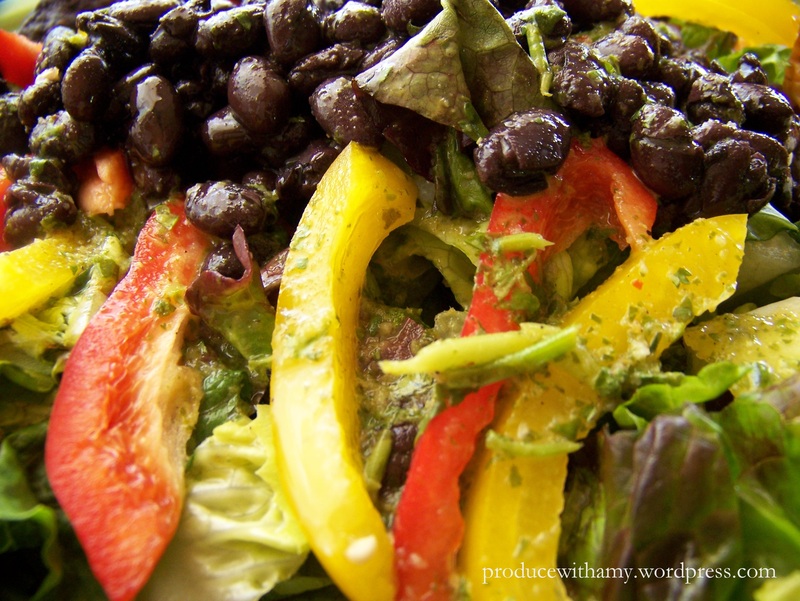 Not only would it make a great dressing for green salads but this summer dressing would be great drizzled over roasted or grilled vegetables, to dress corn and tomato salad, to flavor black beans, sprinkled over tacos, and even as a flavor enhancement for fresh salsa and guacamole. If you are interested in other salad dressing recipes, previously I posted my two recipes for plant-based Tangy Ranch and Zesty Avocado. You can find this and other recipes on Pinterest. I hope you enjoy the Cilantro Lime Vinaigrette Dressing. Please leave a comment and join the conversation by “liking” my Produce with Amy Facebook group. Recipe reviews are always appreciated and it is helpful for me to learn what recipes people are interested in. I love being able to help others maximize their health and productivity by eating more fresh fruit and vegetables. Cheers to additive and preservative free salad dressing, summer herb gardens, and thriving! 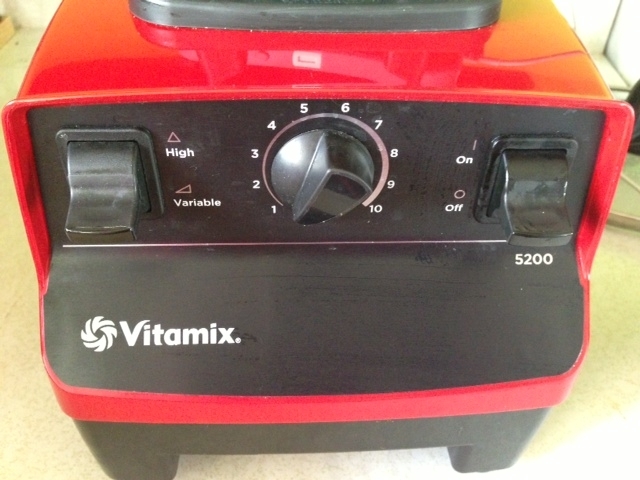 This entry was posted in Uncategorized and tagged cilantro, cilantro lime vinaigrette dressing, Homemade Salad Dressing, Plant-Based Salad Dressing, Vegan salad dressing, Vitamix by Amy. Bookmark the permalink.